​Unai Emery has stated that he is still unsure whether Pierre-Emerick Aubameyang and Alexandre Lacazette will start together against Newcastle. The strikers played starring roles against ​Cardiff but the Spaniard has admitted that he is still undecided on whether the pair will start together against the Magpies on Saturday. Emery has said that he is focused on ensuring that the team is balanced, which may mean that the forwards do not play together. 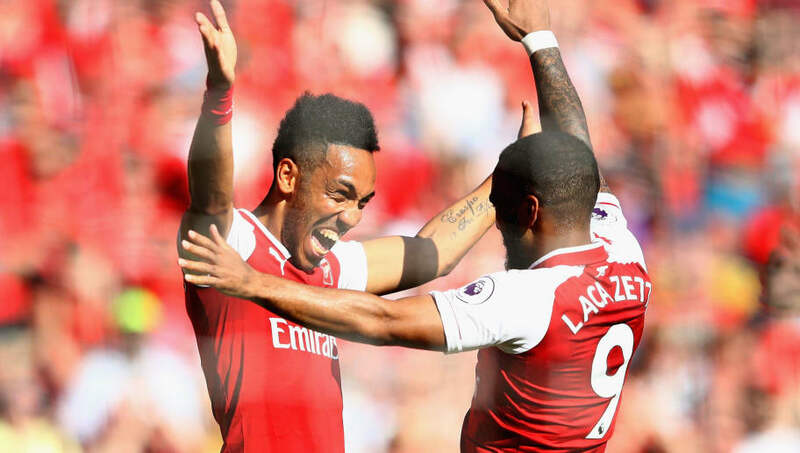 Speaking about Lacazette and Aubameyang, Emery, as quoted by ​Football London, said: "It’s the same. It’s a process to know the combination on the pitch, with different players. But I need and I want to start in the level, 11 players with good performances. "And also, we need in the balance of players, when the team needs to work in the pitch to help the team to find the win, to stay with the performance." "In the process, and firstly we need to win and I think it is very important that in the last match we won. "Our aim away at Newcastle on Saturday is to keep improving things and continue to create our idea, build up our spirit on the pitch, individually and collectively, and it is clear this process is one process." The manager added: "Saturday is another step we can do, it will be difficult but I want to continue [to show] our personality on the pitch and impose this personality on the opposition and to find the win."